Almost yummy enough to eat, this felt gingerbread house can easily be customized to your liking! 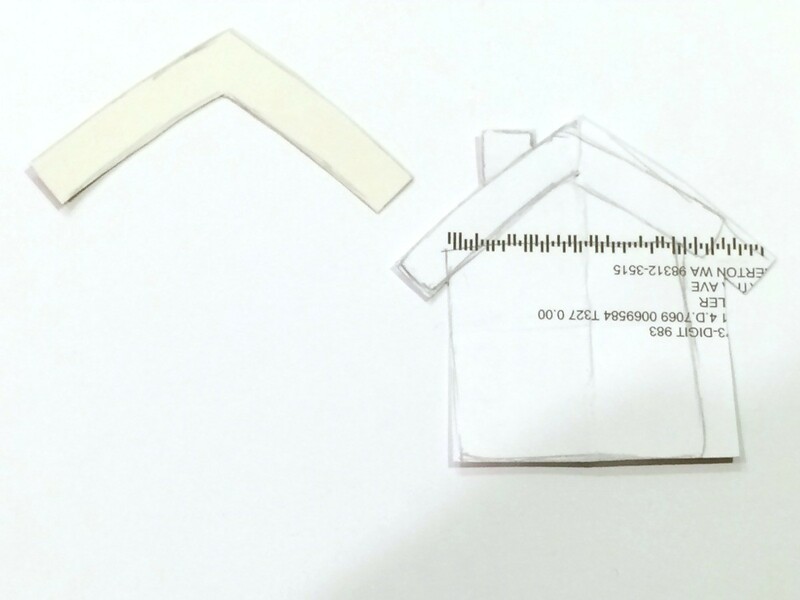 Draw the outline of a house, including chimney onto thin cardboard. Then create templates for the accent pieces (i.e. door, roof, and windows). Stick the templates to the felt using rolls of tape. Cut out the shapes. 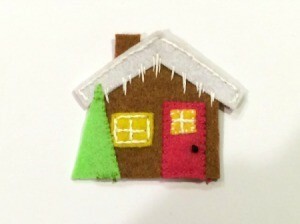 Then layer them and use coordinating embroidery floss to sew each piece onto the house. NOTE: The icicles are created by stitching different lengths of floss. The doorknob is a French knot.